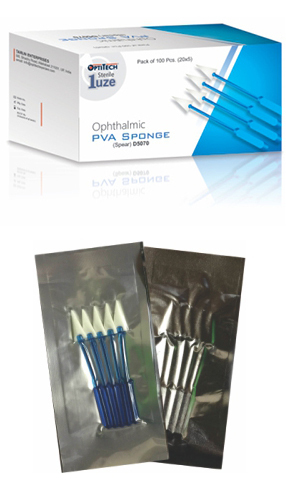 Designed for optimal tissue manipulation and controlled absorption of fluids and blood from ocular surgical field, during cataract, lasik and corneal procedure. Box containing 100 spears packed in 20 pouches, each pouch containing 5 spears. Ready for use in cataract surgery. The absorbent sticks are used to absorb fluids at the surgical site.